Chronic renal failure is a leading cause of death in kitties and is quite common in older cats. This occurs when the kidneys gradually deteriorate due to lack of nephrons. There are many causes, but the exact cause for each cat is rarely identified. Owners can help their cats by feeding moisture-dense, species-appropriate diets, monitoring their organ systems for subtle changes and providing supportive supplements. Standard Process offers a dietary supplement called Feline Renal Support that seeks to promote kidney health and urinary system function in cats. This supplement contains whole-food ingredients that assist in natural kidney detox and rehab. Its active ingredients are Eleutherococcus senticosus (Siberian ginseng) and bovine liver. 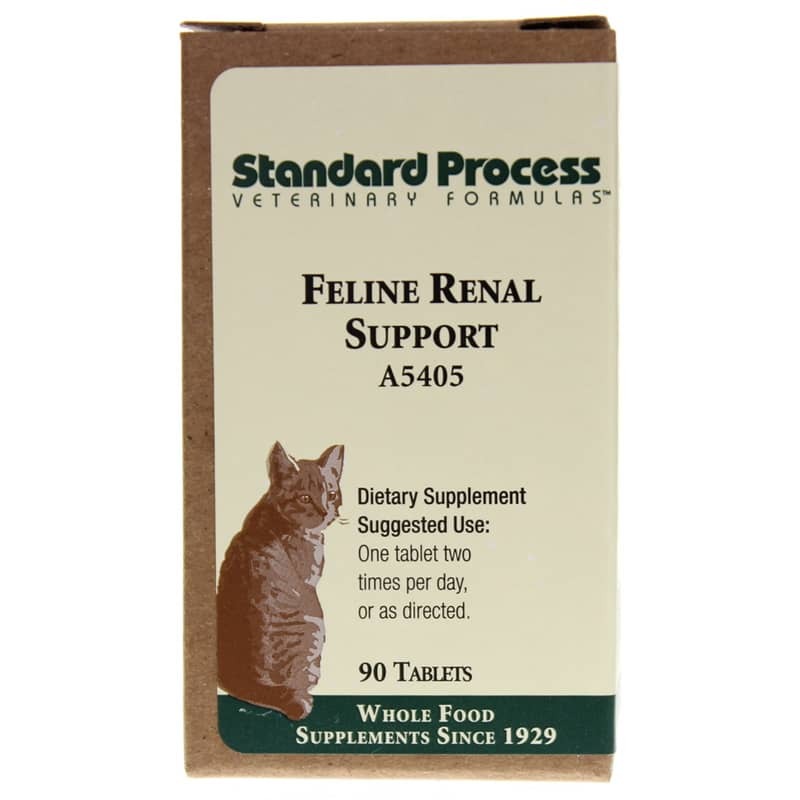 If you're looking for a dietary supplement that seeks to promote kidney health and urinary system function in cats, check into Feline Renal Support by Standard Process. Order online today! Bovine kidney PMG extract, bovine kidney, bovine liver, veal bone PMG extract, bone meal, defatted wheat germ, bovine and ovine spleen, buckwheat leaf juice and seed, Emblica officinalis, oat flour, pea vine juice, bovine adrenal Cytosol extract, ribonucleic acid, alfalfa juice, bovine heart PMG extract, kidney bean extract, Perna canaliculus, Tillandsia usneoides, rice bran, porcine duodenum, beet leaf juice, beet root, and extract of Rhizopus oryzae grown on Tillandsia usneoides and beet root. We have used this product over the years to support our various cats during the time in their lives when needed. Originally recommended by our Naturopathic Veterinarian. We use in conjuction with another veterinarian recommended conventional support medication. Really like the Standard Process Feline Renal Support. 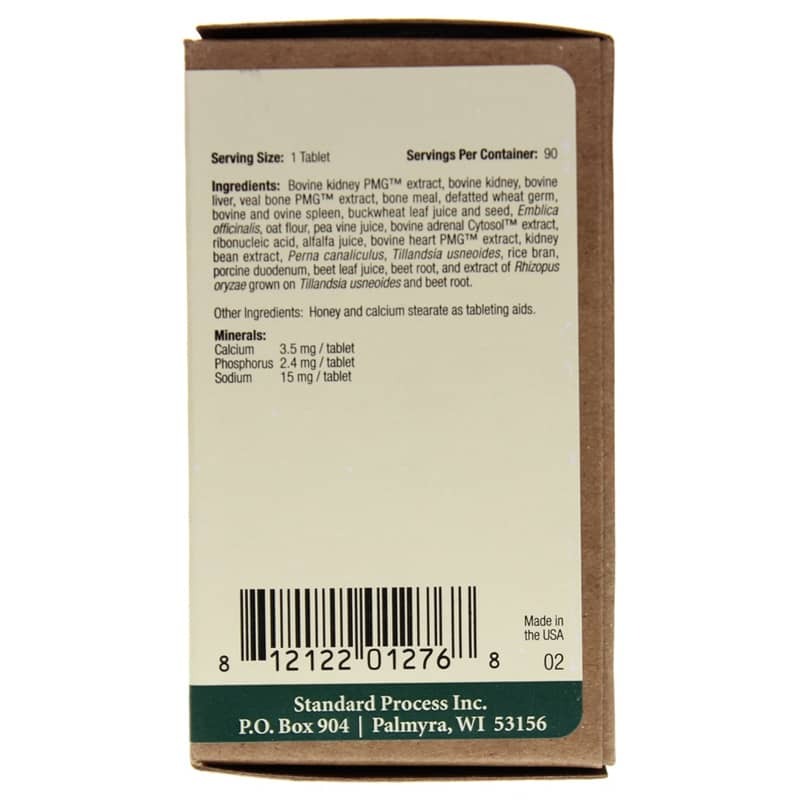 I have used this product for years on my felines and they love them. Don't have to force them down their throats like other supplements.